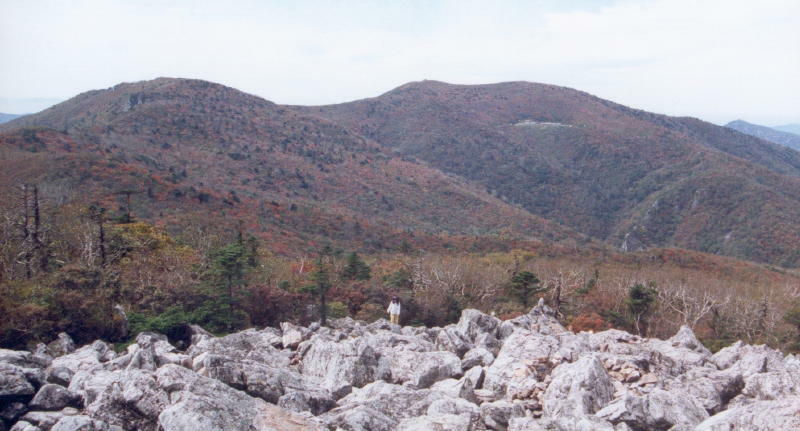 as seen from Munsu-bong in October 1993. 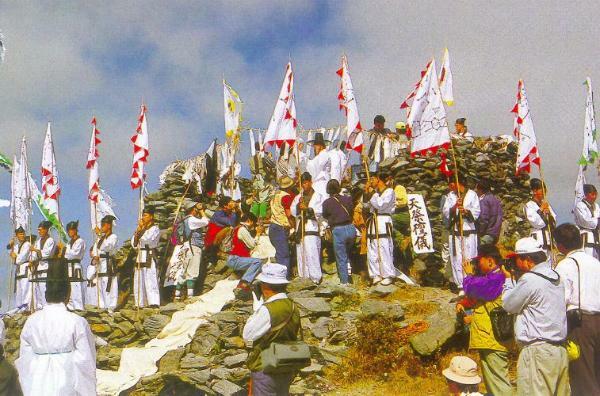 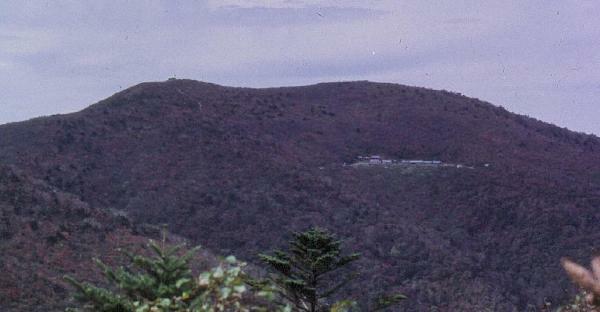 Musoi-bong (1546.5m, no religious significance) to its left, as seen from Munsu-bong in 1989.
and praying to Dan-gun and Hwan-ung inside Cheonje-dan's stone shrine. 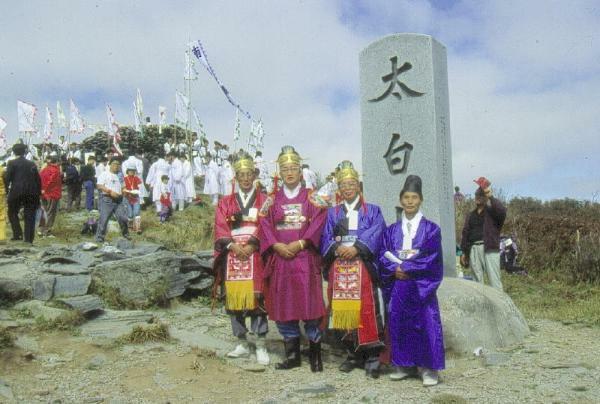 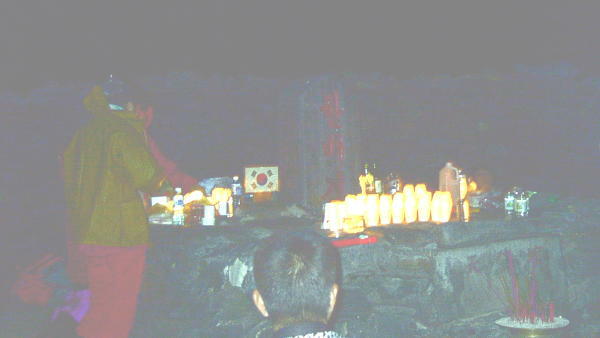 of it just after the 1993 Gyecheon-jeol Cheonje ceremony. 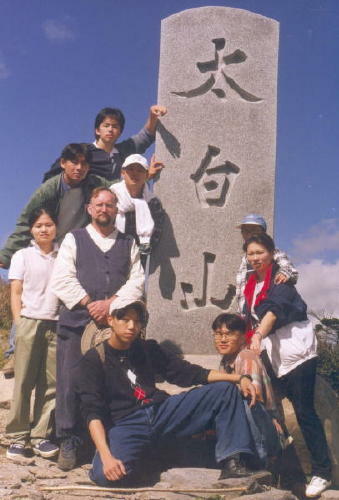 right: with my Yonsei students at it on October 3rd, 1999.